For over 30 years, C.P. 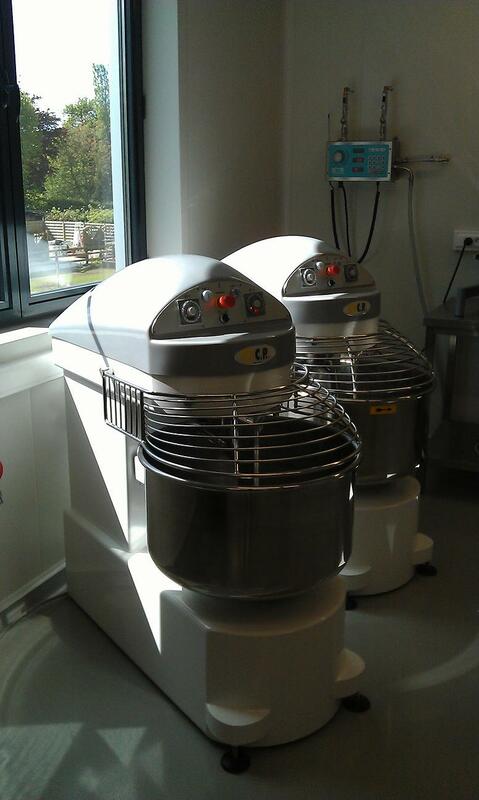 Srl has been producing and distributing machines for the bakery and pastry industry. With a vocation for export throughout the years, C.P. Srl has created a commercial network with representatives in almost every part of the world. Thanks to the co-operation with partners selected for their particular expertise, C.P. Srl is able to offer a complete range of products and services capable of satisfying the demands of their clients, from the artisan bakery to the industrial one. In order to obtain an efficient penetration of the market, the commercial activity is not limited to the co-operation with distributors but also to the creation (first hand or through joint ventures) of branches in Brazil (CP Degania), Mexico (CP Machinery S.A. de C.V & Pastry and Bakery Machinery SA de CV. ), USA (CP Machinery Inc.& Pastry and Bakery Machinery USA), France (Srl CP France) and Australia (IBE Pty Ltd). We are a Portuguese multinational of renowned experience in the baking and pastry area. Our bet on innovation, quality and service, as well as the constant search for solutions that add value and profitability for our Customers, were the key to the sustainable growth achieved over the past 25 years. But the challenge remains the same: to work as a team, always more and better! Ferneto – equipment and items for the food Industry, S.A., was founded in 1986 and concentrates its activity in the production of equipment for the food industry. Throughout its existence, the equipment quality, the constant search for new and better equipment, the care with the continuous work with clients (where we can point out the prompt and efficient technical service,), were without a doubt fundamental to its registered growth. It is also important to point out that the human capital was highly motivated and focused on the customer and on the search for partnership solutions with mutual and growing operational profitability. Actually, it is one of the biggest factories of bakery and confectionary equipment in the Iberian Peninsula, with a production area of about 5000m2. With clear leadership in the national market, it holds a remarkable presence in the international market (with more than 50 countries), with a significant presence in Canada, USA, Spain, France, Italy, Germany, Sweden, Angola and Mozambique, etc. We also rely on four branch offices: Angola, Mozambique, Spain and Brazil (in constitution). The customer satisfaction, the community development where it is inserted, and the promotion of Portugal as a world reference in the bakery and confectionary sector, are goals that we consider to be of fundamental importance. Zelaieta, SL. was established in 1985, and is focused absolutely on the Bakery Industry, designing and manufacturing machines with a clear concept: Enable the professional baker to produce different types of bread. Being absolutely aware of the constant improvements affecting our sector, within the nacional and international market, we are obliged to constantly investigate and develop the different products we design and manufacture. National: Covered by local distributors in a specific and limited area, with its own technical support. International: We operate with the same system as in the National market. It is essential to have distributors and technical support. All machines shown in this catalogue are design and manufacture exclusively by Zelaieta, SL. can be upgraded and are functional and easy to clean. respecting the dough making process and their job. At all stages in the process they can be sure to produce a real quality bread.